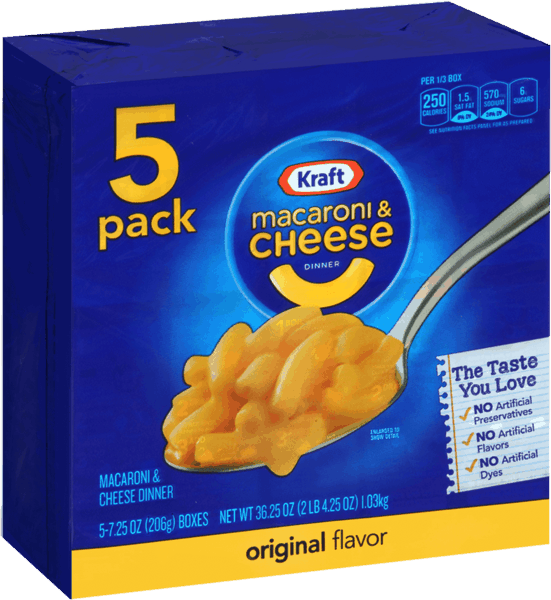 $1.00 for Kraft Original Flavor Macaroni & Cheese Dinner. Offer available at Walmart.com. $2.00 for Bai® & popchips® Combo (expiring on Tuesday, 04/30/2019). Offer available at multiple stores. $0.50 for Suja® Juice (expiring on Saturday, 11/02/2019). Offer available at multiple stores. $1.00 for Quaker® Morning Go-Kit (expiring on Wednesday, 07/31/2019). Offer available at multiple stores. $2.00 for Seventh Generation™ Laundry Detergent (expiring on Friday, 05/31/2019). Offer available at Walmart. $1.50 for Air Wick® Essential Mist Refills (expiring on Saturday, 11/02/2019). Offer available at Walmart. $5.00 for Pure Bliss™ by Similac® Formula (expiring on Friday, 11/01/2019). Offer available at multiple stores. $3.00 for Tyson® Dinner Kits (expiring on Sunday, 06/30/2019). Offer available at Walgreens. $1.30 for Udi's® Mug Cakes (expiring on Saturday, 11/02/2019). Offer available at Walmart.